Whisk the gelatin with the boiling water until dissolved. Refrigerate until slightly gelled, but not set. 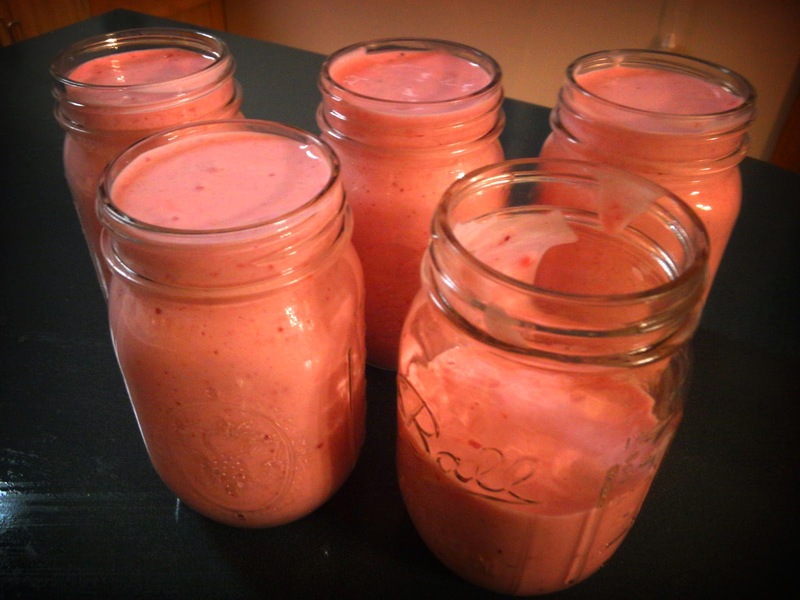 Puree strawberries. 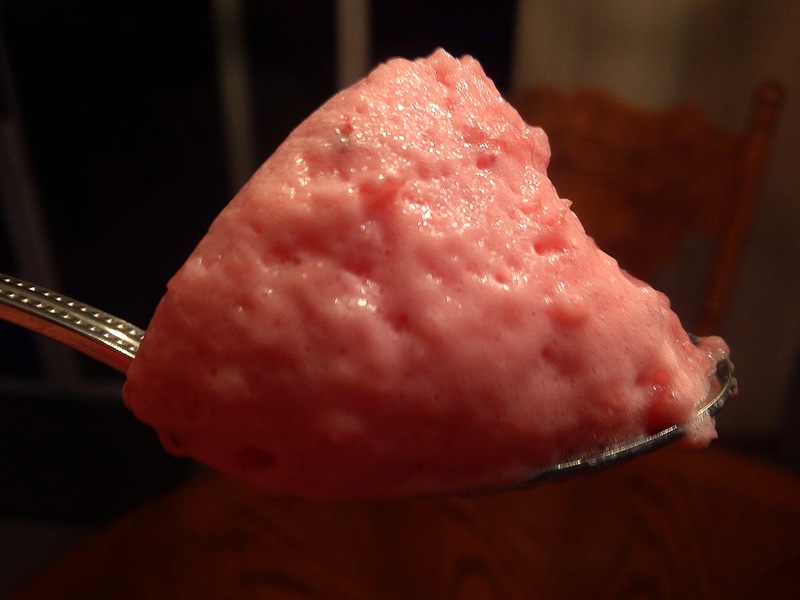 Put slightly gelled gelatin, strawberries, yogurt, extracts, & sweetener into a mixing bowl and whisk with electric mixer until fluffy and well combined. The more you whip, the fluffier it will end up. I whipped it for probably 5 minutes. Pour into mold. Refrigerate for at least 2 hours. Dip the bottom of mold into hot water for just a few seconds and invert onto serving dish. Keep chilled. 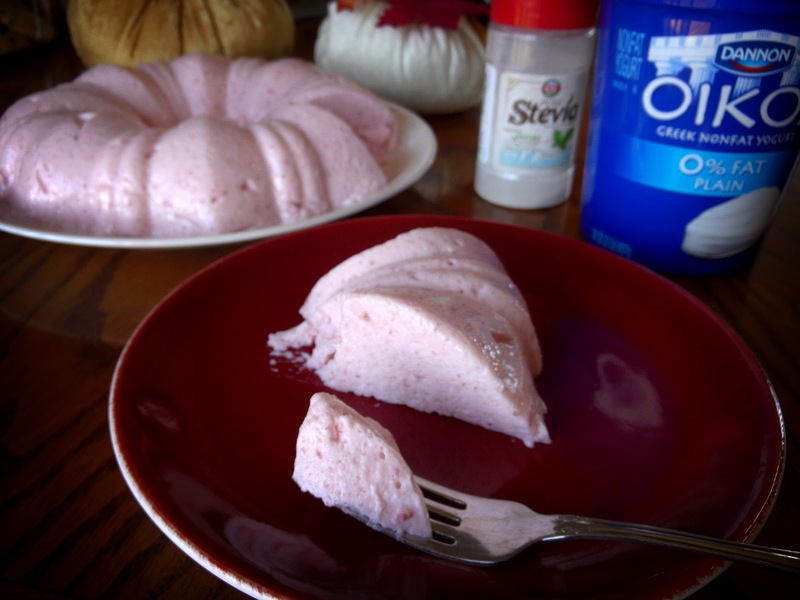 If you can’t be bothered with the mold, simply pour the whipped mixture into a nice glass serving bowl. It will be beautiful, easy to spoon out, and much easier to store. If you’d like to make it extra beautiful, decorate with a couple fresh strawberries on top. The options for this are limitless. You could use about any berry, or even make it chocolate. You can make changes that send this into E zone or S zone depending on what you put in it. I hope you all have fun with this one! oh my goodness! That looks so yummy! THM Basic Cheesecake with strawberry swirls.